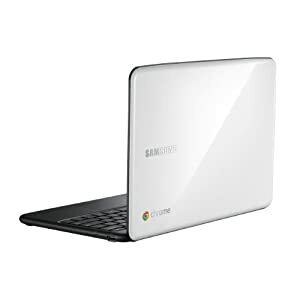 Starts Fast - as advertised the Chromebook starts in under 8 seconds. Since I rarely shut it down, and instead just close the lid when I'm not using it, in practice, it starts immediately. My experience with Windows laptops has been that closing and opening the lid sometimes works, and sometimes freezes. By contrast my Chromebook has been 100% reliable. No Clutter - between virus scanners and various updaters, I generally have to answer at least three questions before my Windows laptop lets me get to a browser. When I login to my Chromebook, I'm taken to Chrome. A browser. Exactly what I want, and nothing more. 3G Challenges - when I tried to enable 3G, I followed the steps, but ended up being prompted to phone a 1-800 number. According to the Verizon customer service representative, Google had not provided Verizon with the serial number of my device. Apparently this was not uncommon, but it would mean that it could take 48 hours before I could use 3G. The representative said they would call back when it was all working, which they never did. Since then I've been traveling out of the US, so I haven't had a chance to retry 3G. Missing Keys - I like having a refresh key, and a full screen key. And in general the keyboard is very good. But I do miss not having home, end, page up, page down and delete. I'm adjusting, and the two finger swipe motion on the trackpad for scrolling up and down is very useful. I find myself trying to do that on a regular laptop now too. Sluggishness - Most of the time, my Chromebook feels very fast and responsive. I also generally don't have any problems watching videos on Youtube or Netflix. But just occasionally sites seem to really bog down, and clicks seem to be lost. This seems to happen much more on sites using Flash. Tab Crashes - I experience 3-5 tab crashes per day. I'll be in the middle of something on a web site, I'll click a link, and the tab will crash. I haven't worked out any pattern to this. Occasionally the site will be using Flash, but more often it isn't. It's not the same site every time. I've now got into the habit of closing tabs more often, which seems to reduce the frequency. I would occasionally see tab crashes in Chrome on Windows, but much less frequently. I don't mean for this post to come off negatively. I still love my Chromebook and the whole premise of having a computer which is just a browser. Hopefully Google will resolve the bad through future software updates, and I'll retrain myself for the keyboard.